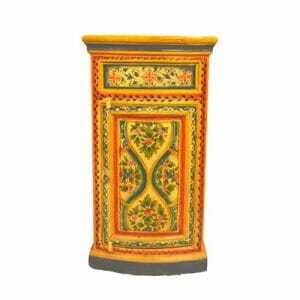 A bold and vibrant piece, our yellow and red bow fronted almirah is a luxurious and beautiful way to add rich Indian exociticm to your home. 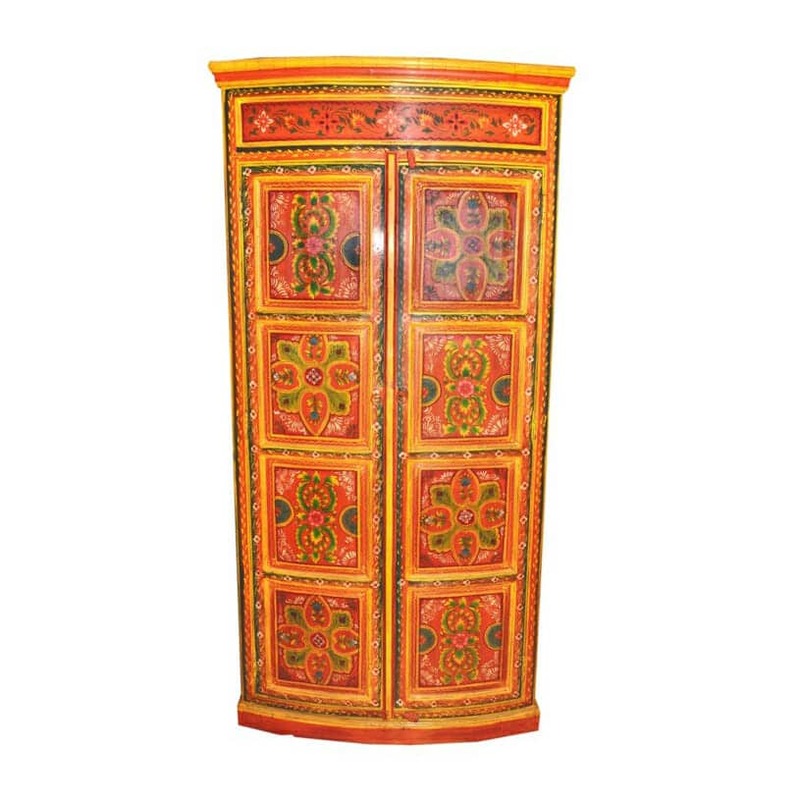 Hand-painted with floral designs, patterns, and edged with detailed tendrils, this large Indian cupboard evokes all of the wonderful sights, sounds, and smells of India, even bringing some of its warmth to the coldest of British nights. 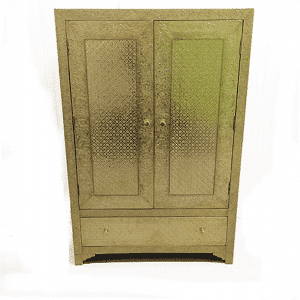 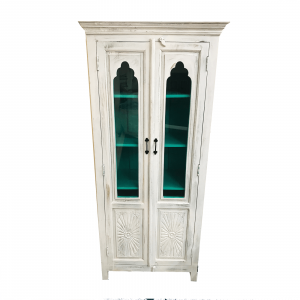 Featuring two doors and three inner shelves, this Indian almirah is also an excellent storage solution for a large space. 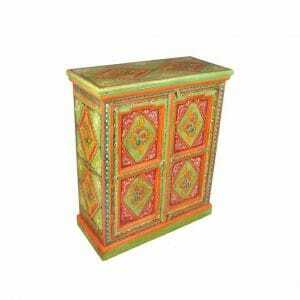 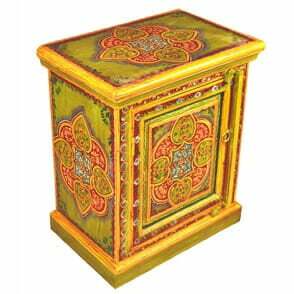 Richly detailed, this beautiful painted almirah has been carved and decorated by hand by our wonderfully talented artisans in northern India. 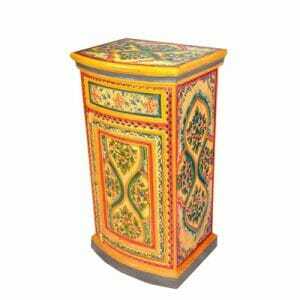 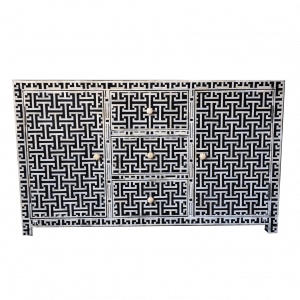 Each craftsman is an expert as his trade, following the same secrets that have been passed down for generations of craftsmen and used to build the original pieces that can still be found today in the gorgeous palaces across Udaipur and Rajasthan. 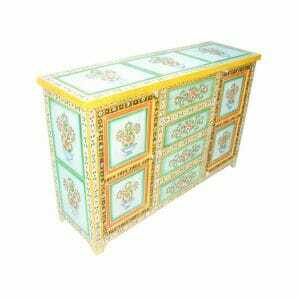 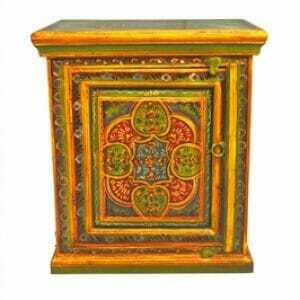 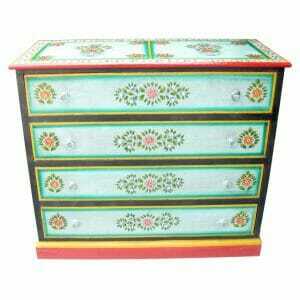 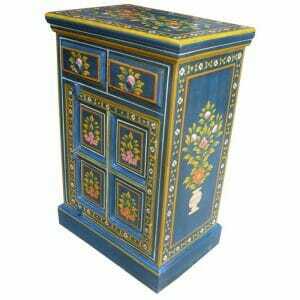 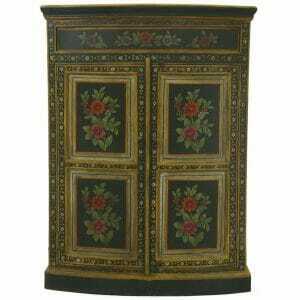 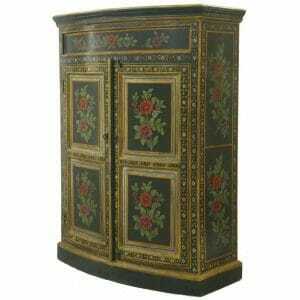 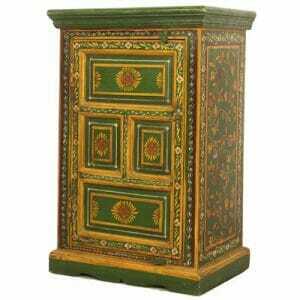 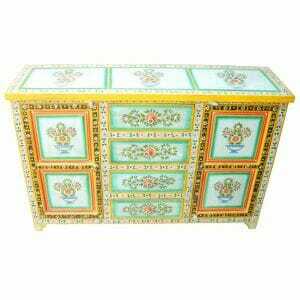 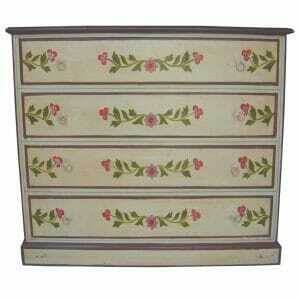 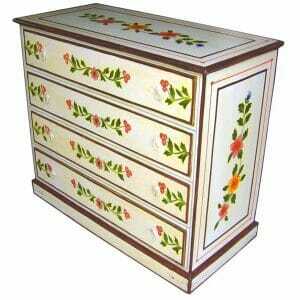 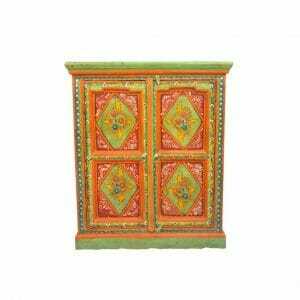 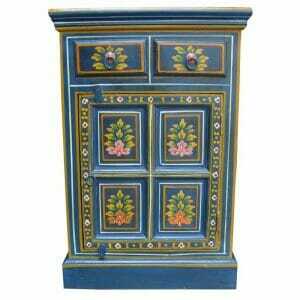 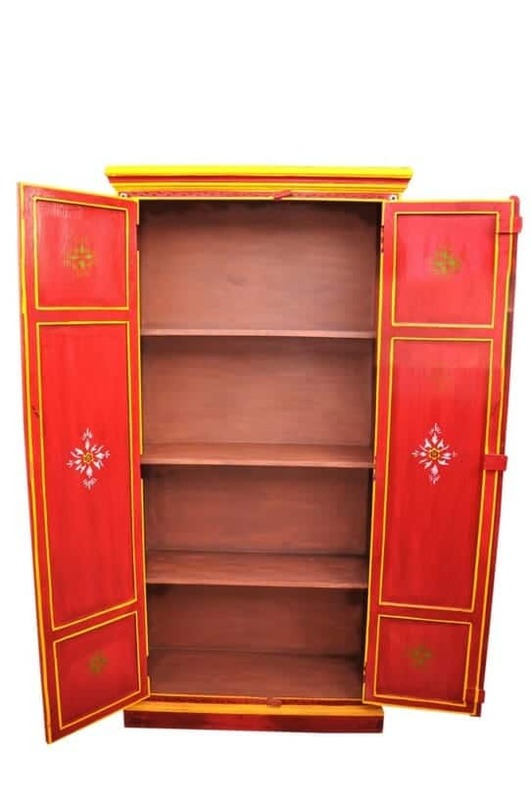 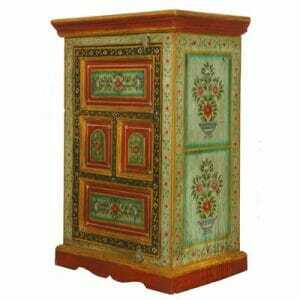 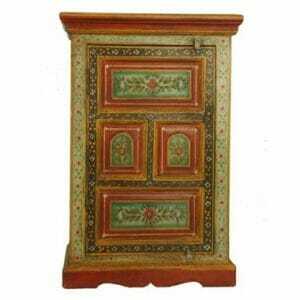 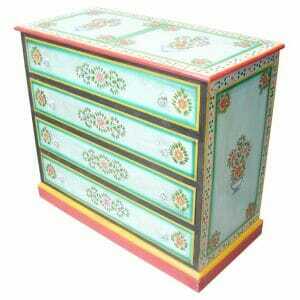 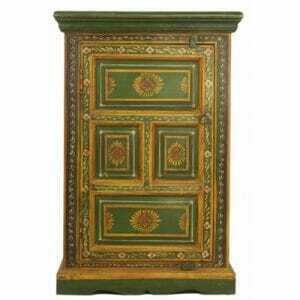 Our lovely bow fronted cupboard is only one of a large selection of hand-painted items that we have for sale. 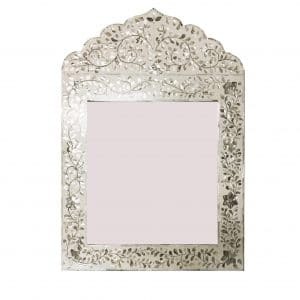 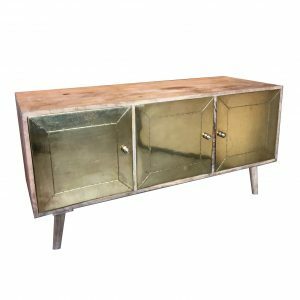 However, if you would prefer this piece in colours of your choosing, or would like it crafted to specific dimensions to suit your space, please do not hesitate to contact us. 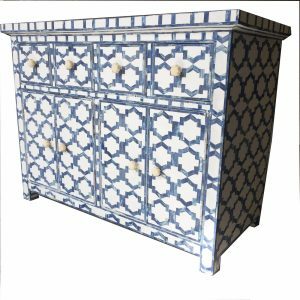 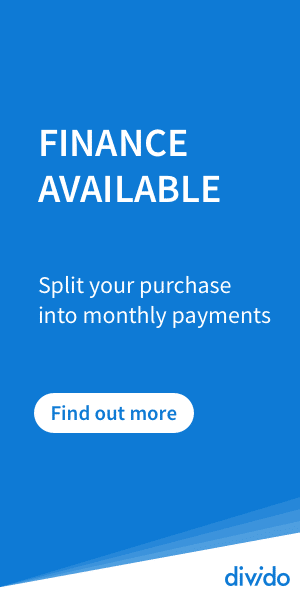 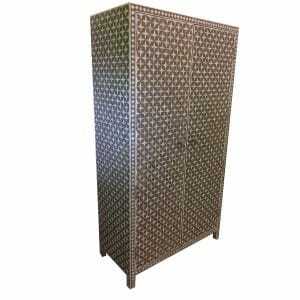 We are more than happy to place bespoke furniture orders on behalf of our clients. 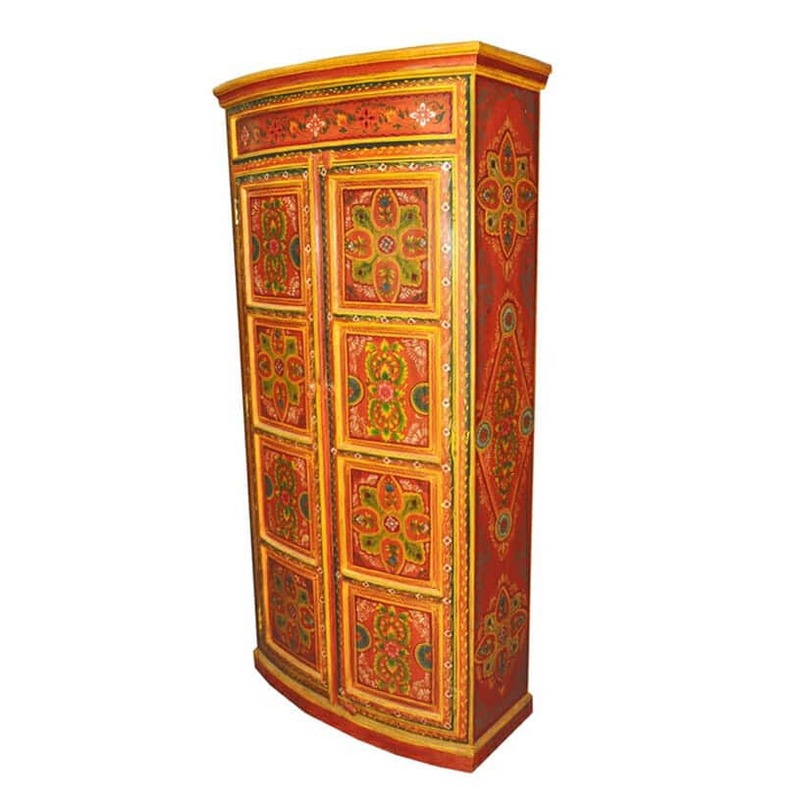 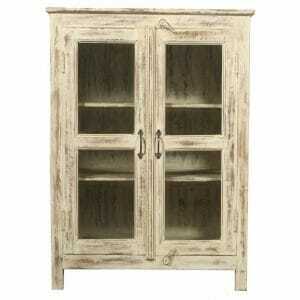 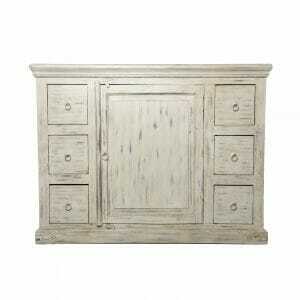 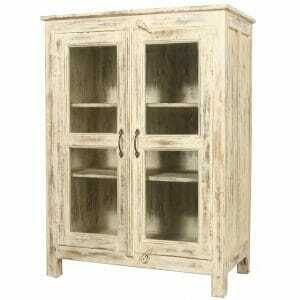 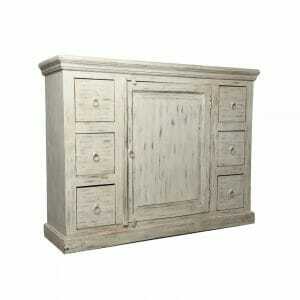 Like all of our furniture, this almirah has been crafted only from sustainably sourced wood. This is part of our larger commitment to environmentally sound and ethical trade, and we personally guarantee that all of our furniture suppliers and craftsmen are prospering and that all of our furniture is consistently of the highest quality by visiting our craftsmen regularly in India throughout the year.